les mains noires: 013° .CLAUDIO ET LES SATANIK. 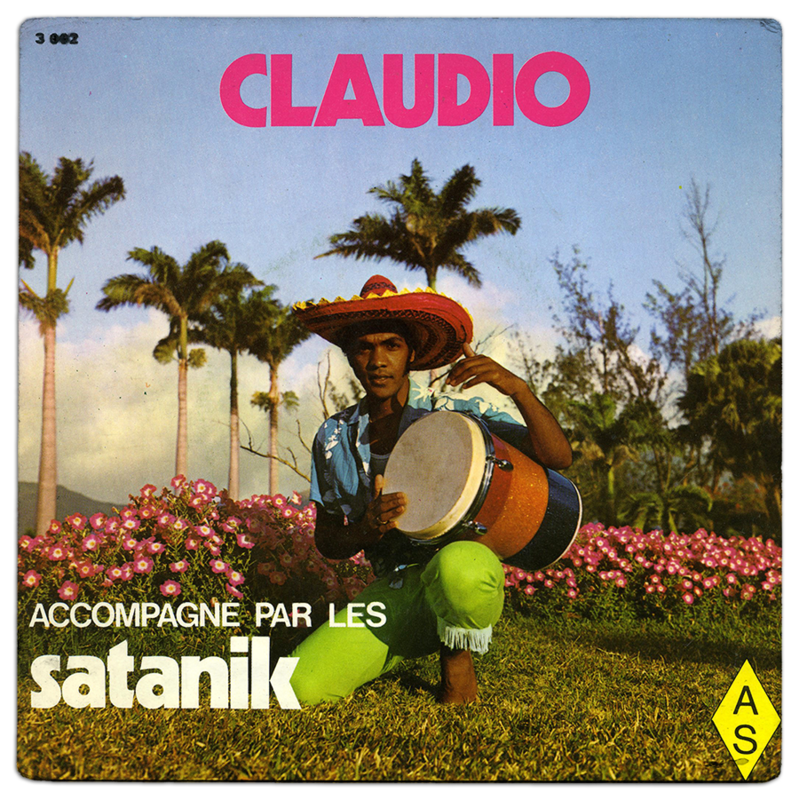 013° .CLAUDIO ET LES SATANIK. We are happy to present to you this pretty good sega EP from Mauritius found two weeks before now in a car-boot sell. Totally unknown, we are lookin' for informations so if you know somes about... just tell us. We'll be glad ! Wicked, Keep it coming fela!! Strong stuff 4 sure!! VS ETES DS NOS FAVORIS. TRES TRES BON ALBUM, MERCI DE FAIRE PARTAGER!!!!!!! BONNE CONTINUATION VOUS FAITES DU TRES BON TRAVAIL!!! Alors pour les infos, c'est du créole de l'île Maurice. Merci les gars pour votre travail c'est formidable. this is actually a famous Mauritian musician Claudio Veeraragoo who's been releasing lots of recordings since appr. 1969 - as simply Claudio or with the Satanik group. this EP is from 1972.
i have original cassette with his 1989 album, Violoniste. think i'm gonna digitize it but i don't have the technical possibility right now. in a couple of months maybe. 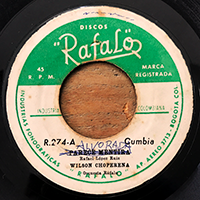 anyway, MANY MANY THANX for posting this curious vintage record!!! PS. if it's not asking too much, could you PLEASE make also a rear-side scan of the EP? Wow ! ! ! thank you so much for all those information !! ! Where did you get them ? wanna talk more with you . ..
Best regards and many many thanks for looking and reading this blog ! !! thanx for the rear scan! himself, a flowered girl and the songs - see http://s844.photobucket.com/albums/ab1/dustraman/? imagine my (sweet) surprise when i stumbled upon this your page!!!! & when i finally digitize my cassette into an uploadable form i'll comment ya the link.